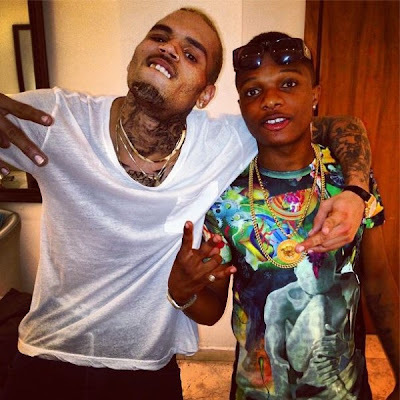 Singer Chris Brown recently gave a live shout out to Nigerian hip hop king Ayo Balogun popularly called Wizkid. Chris Brown who guest the last BET 106 & Park show for the promotion of his upcoming album claims Azonto dance starts from Nigeria. He also revealed how he learnt Azonto dance from Wizkid.